Build your own figures or objects and load your own backgrounds. Position the figures using the red and orange handles. 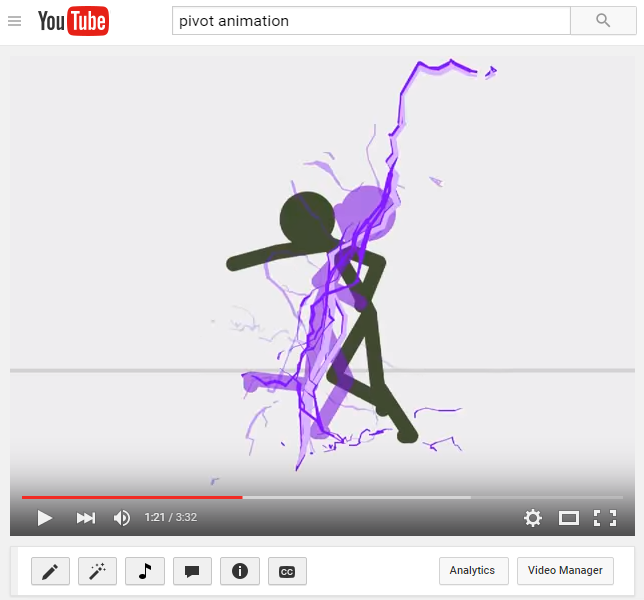 Bring your figures to life by creating a sequence of animation frames. Share your animations by exporting them as animated Gifs or as videos to upload to YouTube. With practice and patience the possibilities are limitless. The latest stable version of Pivot, which fixes a minor bug related to Copy and Paste causing an Integer Overflow error. The Romanian language has also been added. See the readme.txt file for a full list of changes. 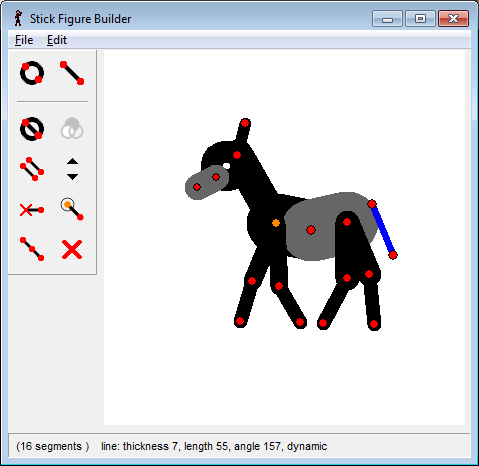 The latest stable version of Pivot, which adds several keyboard shortcuts for the figure builder window and the ability to load multiple sprites. See the readme.txt file for a full list of changes. The beta version of the latest version of Pivot, which adds several keyboard shortcuts for the main window. See the readme.txt file for a full list of changes. Please report any bugs to support@pivotanimator.net or by using the contact form. The beta version of the latest version of Pivot. This fixes a few bugs in v4.2.3 and adds icons to the figure builder menu. See the readme.txt file for a full list of changes. Please report any bugs to support@pivotanimator.net or by using the contact form. Updated Help files for v4.2 are also now available. A few browsers and anti-virus software, such as Norton, may give warnings for Pivot. These are false alarms that can occur because some will flag anything that they don't recognise. The Pivot installer does include offers for other software, but they're all optional during installation and will not harm your computer. Pivot and the installer are safe. The beta version of the latest version of Pivot. New features include copy/paste selected figures and a transparent figure builder window. See the readme.txt file for a full list of changes. Please report any bugs to support@pivotanimator.net or by using the contact form.